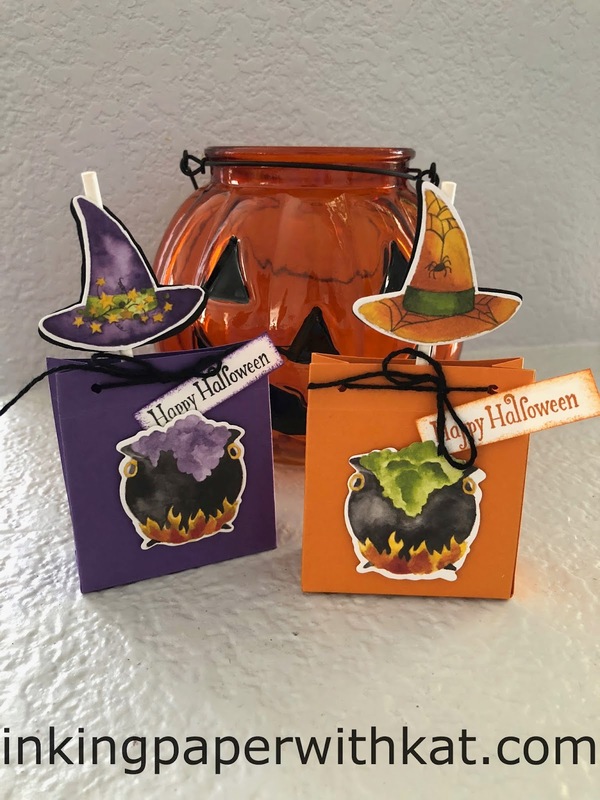 A sweet treat for Halloween uses the Toil and Trouble DSP with the matching Framelits to create a little box. You will need one of the cauldrons and one of the witch hats. 3. 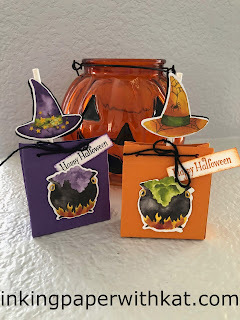 Using the Framelits cut out Cauldron and Witch Hat. Cut additional hat shape from black cardstock. These can also be fussy cut.